Green leaves and papers are used as per its seasonal availability. 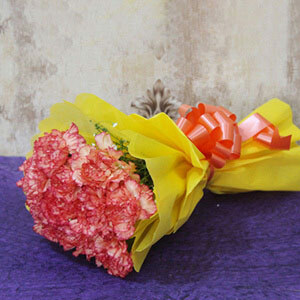 The ancient Romans and Greeks used the carnation flowers to make garlands. 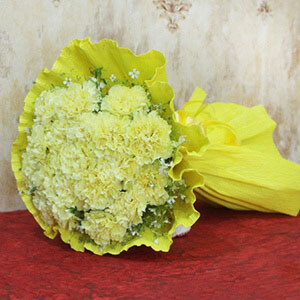 Carnations are edible and can be used for food garnishing. 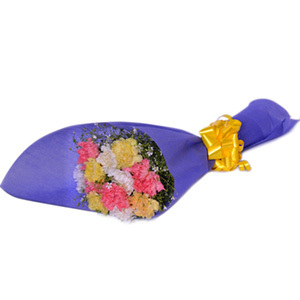 Gifting a flower works like magic as it instantly brings smiles upon the faces of our loved ones. So, no matter the inexpensive gifts that you have already purchased! Combining that with these precious flowers are sure to make it exquisite! 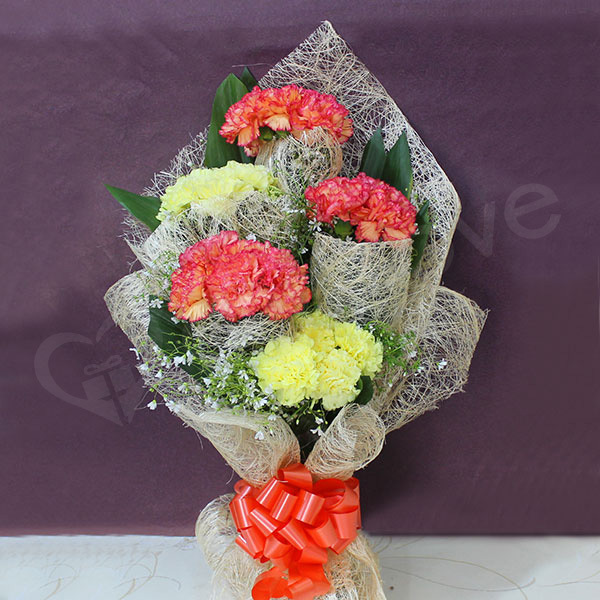 So, order this ravishing bunch now! 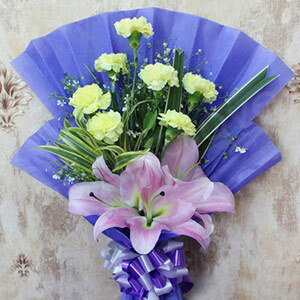 Flowers were fresh and eye-catchy, but I am immense happy with the beautiful wrapping of the flowers. Superb service GiftaLove!! Surely visit you soon.